Don't bite the poisoned apple! 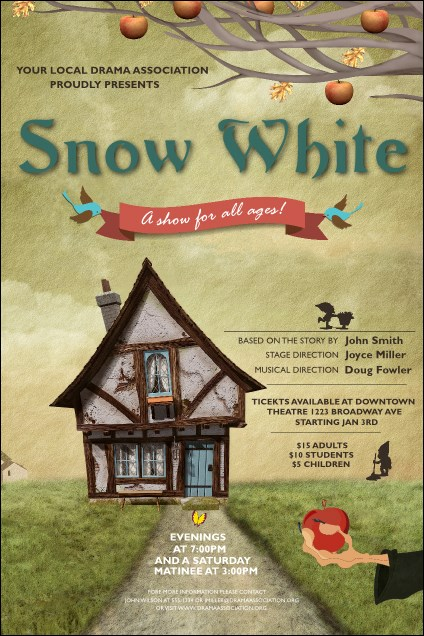 Follow the path to your destiny and fill the seats for your performance with the Snow White Poster. This fun design features a curious cottage in the middle and dark clouds overhead. Advertise with 23 generous lines for event details in the template below and post your fairy tale all over town. Write beautiful stories with TicketPrinting.com.